Start your next adventure here! Experience the resort style life in Villagewalk. Well designed Capri Villa with 2 master suites and a split bedroom arrangement. Upgrades in the kitchen include granite, updated sink, and appliances. Visitors are welcome with a guest room, great room, and a large open den. 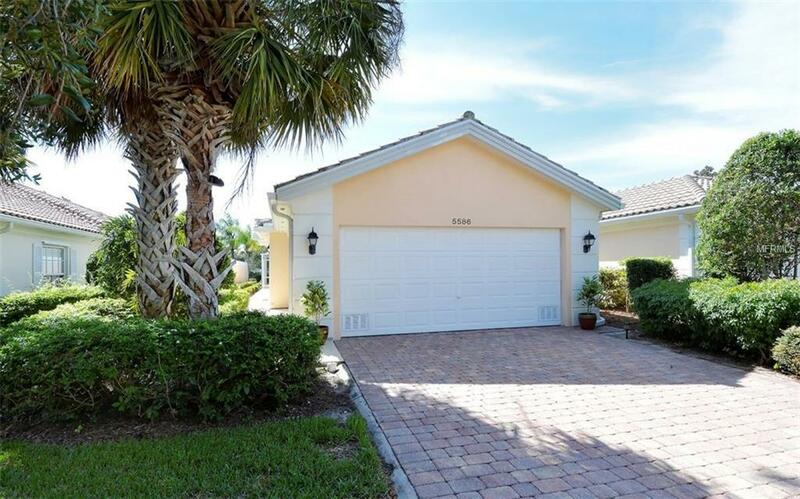 Enjoy a 30x20 large screened lanai and beautiful serene lot. Newer Air conditioning system and hot water heater. Villagewalk has many amenities that include a heated lap and resort style pool, state of the art fitness center, meeting/card/event rooms, library w/internet, newly remodeled restaurant, gift shop, gas station, hair salon & miles of biking/walking trails along our many beautiful lakes. Close to shopping, dining and beaches. This is a must see.